La Tortilla Factory’s Hand Made Style tortillas are known for their wholesome ingredients and their delicious flexibility - which rivals even the best homemade tortillas! 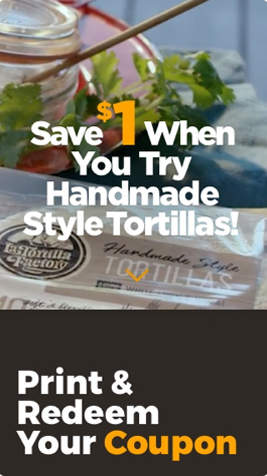 When relaunching their Hand Made Style tortillas La Tortilla Factory recruited Harlo to concept, produce, and distribute their first-ever digital ad campaign targeting organic-minded shoppers on a national scale. 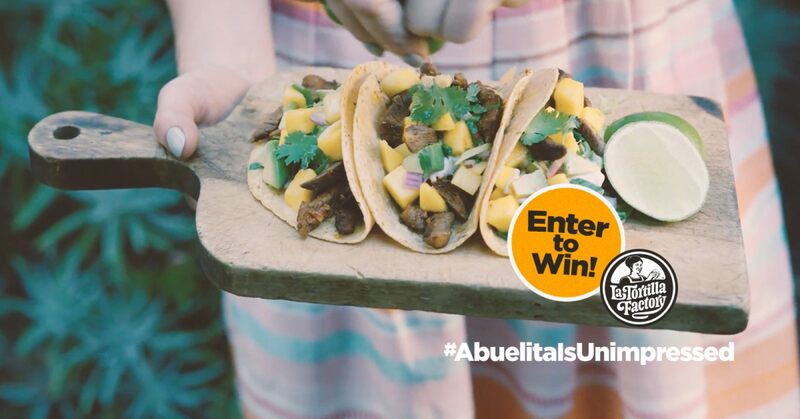 Our concept centered on the idea of matriarchal pride - Nearly all of us have an “Abuelita” in our lives that is skeptical of store-bought-anything, and stubbornly opposes life choices that go against her idea of “tradition”. In her world, tortillas should truly be hand-made. 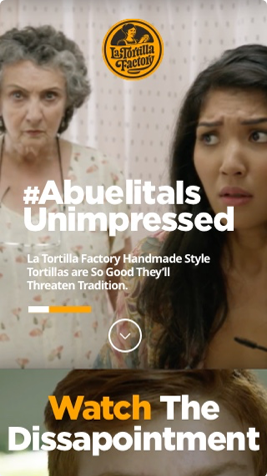 The humor of playing into this stereotype lies in the fact that “Abuelita” is universal. The pressure we feel to live up to our grandparents’ standards is offset by the respect we have for them, even if we end up making choices they don’t fully support. We scripted a series of 5 spots, each following a Setup / Hook / Punch format. Casting, location scouting, and crew assignments led to a 2-day shoot for the narrative scenes and a third day of shooting with a food stylist to ensure product imagery was truly mouthwatering. The finished product was five 0:30sec spots, as well as a library of still photography that was used in the microsite, and a custom “meme-maker” tool our team built as part of the engagement campaign. 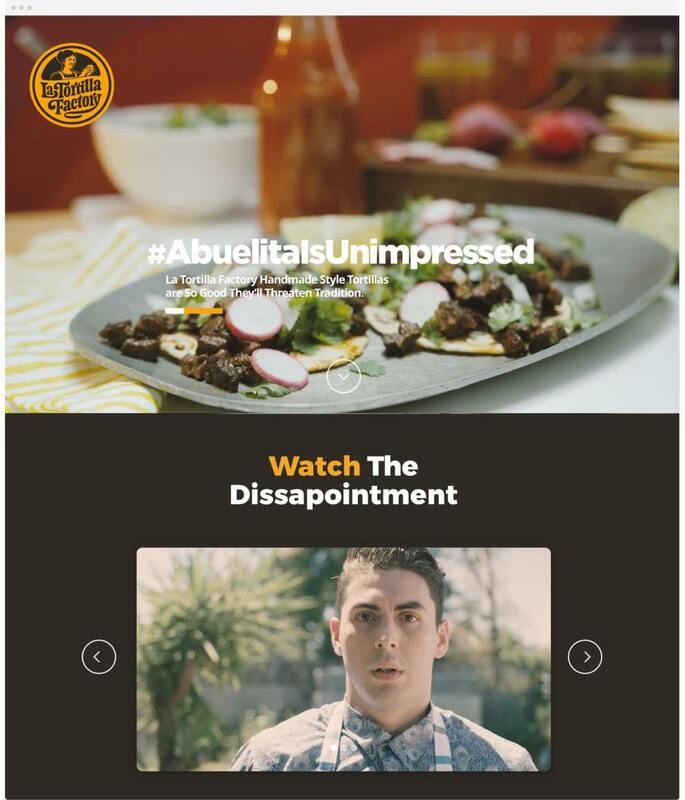 Our media campaign launched in late July across Facebook, Instagram, and YouTube pre-roll placements, targeting our core shopper demographics in key product distribution regions. 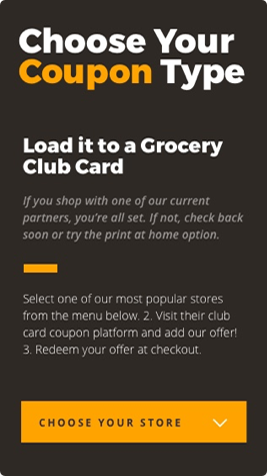 In addition to a microsite and video spots, we built out a digital coupon program in partnership with Inmar, and incorporated a sweepstake to drive user-generated content and engagement across our social platforms. The campaign was a smashing success, Generating over 1 Million video views. The content kept people engaged, averaging 22 second view times on Facebook/Instagram and full-length views on YouTube via TrueView. Altogether it reached over 500K unique users, and all at a hugely cost-efficient CPE of $0.03.